Subscribing to Dear Jane Podcasts is free and easy. If you don’t have iTunes, you can download it for free by clicking here. 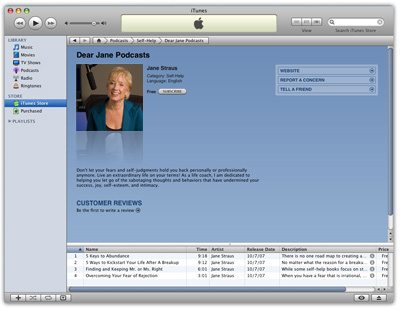 If you have an iTunes account, click here to be taken directly to the Dear Jane Podcasts page.